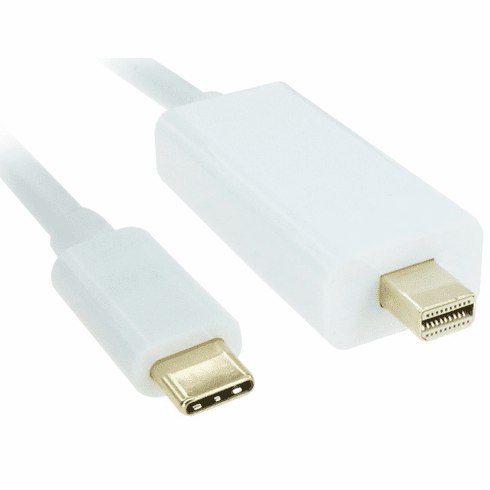 Connect USB-C desktops / laptops and other devices to Mini DisplayPort monitors with our USB-C to Mini DisplayPort adapter cable. At 6 feet in length, the cable fits into a variety of setups and comes with gold plated connectors. The cable is compatible with USB-C DisplayPort alternate mode (DP alt mode) devices, such as the MacBook, Chrombook, Dell XPS, and more.